It's been one of those weeks and I am blaming it on the deadline stress. A book near completion but not quite there yet is about the worst thing for me. It messes with my brain. The plot's on my mind constantly as I try to bring all the mystery threads together to finish. So what happens? I forget things.I lose things. I went to the doctor and had one thing I wanted to ask her about in particular. Never mentioned it. Didn't even realize I hadn't mentioned it until the next day. I have to travel quite a distance to get there and the drive takes a toll. I get fatigued and that only triples the non-thinking thing. And, I realized I'd lost my credit card--I assumed at the gas station--when I went to pay. Oy, what a pain! Called my husband, he cancelled it and then I got a call after I left the doctor's office that they found it in the bathroom. Great. Too late. the road that would take me home. GPS and Suri were NO help whatsoever. When I queried Suri with "Where is Whole Foods?" from the Trader Joes parking lot where GPS took me twice, she said, "You are very close." Thanks. I knew that. As I said, I found the store, but I drove around various parking lots before, bingo--I asked another human being. Next time I think I'll try that approach first. Then, I hadn't taken my thyroid medicine because the doctor wanted to see what my lab values were without taking the med right before the test. Did I remember to take it when I got home? That would be no. And boy did THAT screw me up even more. I fell asleep on the couch sitting up at 8 o'clock. One of those drooling, neck crinking naps that doesn't do a body good. And then I couldn't sleep that night. The following day was no better. I still couldn't think straight and though I remembered my medicine, I forgot Marlowe's seizure med until it was 4 hours late. That's not good but thank goodness he didn't seem bothered at all. He was fine, but I worried and watched him like a hawk all day. I am recovering from being an idiot for several days but still not finished with The Book That Will Not End. But I'm close. Very close. As long as I don't have any more no good, very bad days. But just in case, I'm keeping the following list on my computer. I believe I need it. I recognized some of me in your post! :) Thanks, Leann. Hugs on being on deadline, Leann. 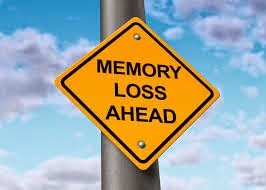 And memory loss...very tough to deal with. 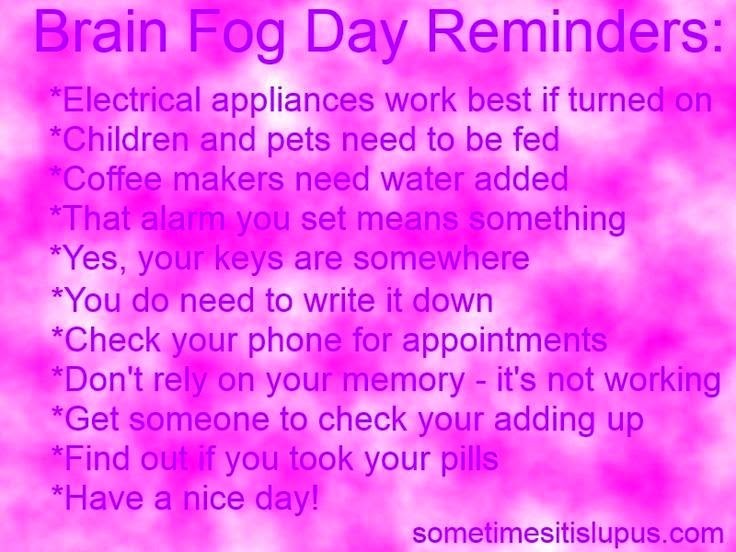 I love your "brain fog day reminders/" I need all of them! Thanks MJ. I have too much stuff vying for space in a limited capacity area called my brain. Soon I can breathe again! Leann, I am sorry for your upsetting day, but to take some of the load off you, messing with your thyroid meds can affect your memory, so see, it was not you at all. Your deadline is the main focus, so naturally you will be on point for that and let other things slide a wee bit....naturally. In other words, be kind to yourself, you are just fine. 'Cause I said so! 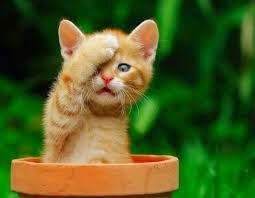 I blame forgetfulness on information overload. Everybody gets so much information all day long that they lose their common sense. Gertrude Stein. And there's THAT. Thanks Linda. So true! It really does seem like the more we have to deal with, the more "scatter brained" we get. I know that for me, I only have so much capacity in my little pea brain and when I try to push it beyond the limits, it seems like NOTHING goes right. And even little annoyances are majorly annoying when I get to that point. Also, I understand about the thyroid situation. I had mine removed a few years ago and I am having trouble getting my Dr. to believe me when I tell her that my meds are not right. I want her to refer me to the endocrinologist, but she keeps putting me off. What I can't get her to understand is that I know my body and what is right and what isn't right. When something is off with out bodies, we know it. Doctors need to listen to their patients more. Thanks Lynda. Another thing we have in common--a screwed up thyroid panel. Mine's been wonky since the early 90s but only in 2003 did they finally put me on meds. It was quite the miracle. What is it with not wanting to deal with women and thyroid problems? Okay ... maybe I DO understand. Sigh. LOL Leann - I think we must have been sisters in another life.. We certainly share a lot of traits.